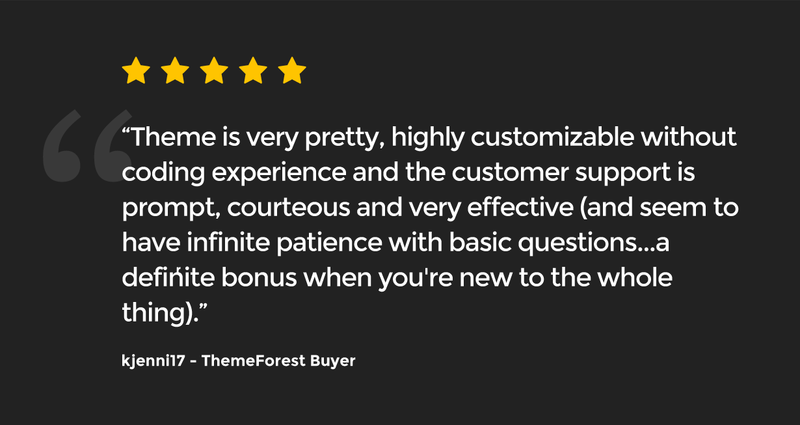 Featuring simple 1 click theme options, unlimited color options, hundreds of Google font choices and more, Foundry is a style powerhouse perfect for your brand. Built on the responsive Twitter Bootstrap v3 framework, the layout adapts to different screen sizes ensuring your website displays beautifully on all devices: smartphones, tablets and desktop computers alike. WooCommerce Support – Foundry supports WooCommerce, we’ve baked in beautiful styling for it, and custom goodies like a beautiful AJAX updating cart icon in the header, neat! Visual Composer Included, Free! 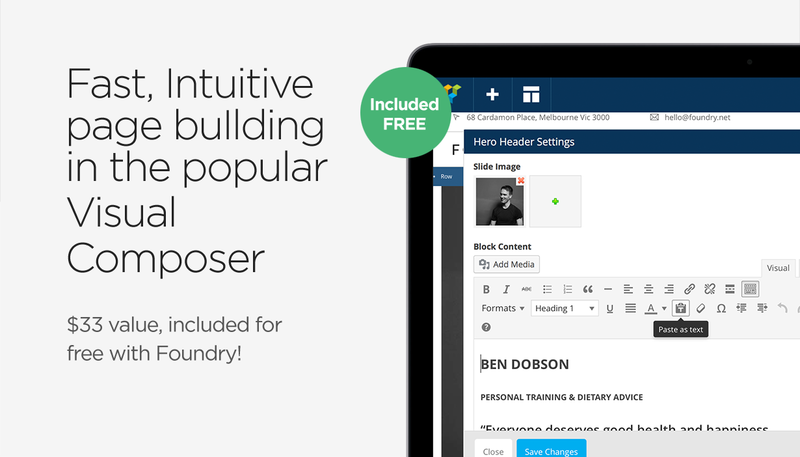 – Everyone’s favourite page builder included for free. Loads of Custom Page Builder Elements! – The page builder in Foundry comes packed full of features that are totally customisable, to extend that we’ve hand designed and coded another load of elements for the page builder, just for Foundry! Full blog feeds, portfolio feeds, carousels, you name it! Best of all, each element is totally customisable, show only certain categories in a page, define background images, everything! Custom Logos – Foundry lets you set a custom logo, retina logo, and even a logo for the WP Login screen, all with a few clicks in our beautiful live preview theme options. Even our theme options let you see your theme changes in real time! Unlimited Colour Schemes – Foundry gives you full control over the theme colours, using our live preview theme options you can change all the colours in the theme. WPML Support – Full multilingual support is baked right into Foundry! Full .po file available for more simple translations also. Gravity Forms & Contact Form 7 Support – Foundry is totally ready for Gravity Forms straight out of the box, start building the forms you need straight away. If you’d prefer a free contact form builder, we also support Contact Form 7 in Foundry!